Last summer I set off on a trip of a life-time that would change me as a person. 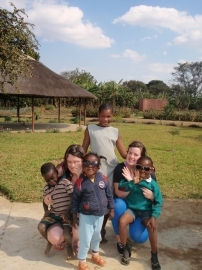 I went to Lusaka, Zambia as a volunteer in an orphanage. I didn’t really know what to expect or how to fully prepare myself. People warned me of the suffering and the poverty. They tried to guide me as to what was expected of me and how I could truly help and impact the lives of these children. The fact was the reality was not what I expected. I arrived at the airport with the two other volunteers and was greeted by two very happy welcoming girls from ‘The City of Hope’. The City of Hope was the name of the Salesian Sisters grounds and that’s what it was, Hope. When we arrived we were greeted by everyone with open arms. The orphanage was only for girls and all of them were so happy and polite. They were just normal children who played, laughed and didn’t worry about anything except homework and being tidy. They ran over to us excited about the three new arrivals to their little community hugging us and asking our names. The grounds were very impressive. It was completely enclosed with high walls and had a secure gate and guard. It held a convent, school, orphanage, volunteer housing and a fully functioning kitchen garden with the tastiest fruit and vegetables. The days started early as the sunlight is limited. In the mornings you could hear the girls singing as they made their way to the bathrooms at 5:30am. Classes started at 7:00am. I taught the girls English reading and grammar. In the afternoons we would play sports or I would make crafts with them which they would sell at the local market. Then at 6:00pm every day the girls, volunteers, sisters and house mothers would pray together saying the rosary. It really was very special as each person would play a part. Some of the girls would sing their part and the music was wonderful. When we would finish it would be pitch black outside. The girls then would have study and then bed. At the weekends volunteers were allowed to leave the grounds and go into the city centre which wasn’t far. Even though I would travel in groups I never really felt in danger. 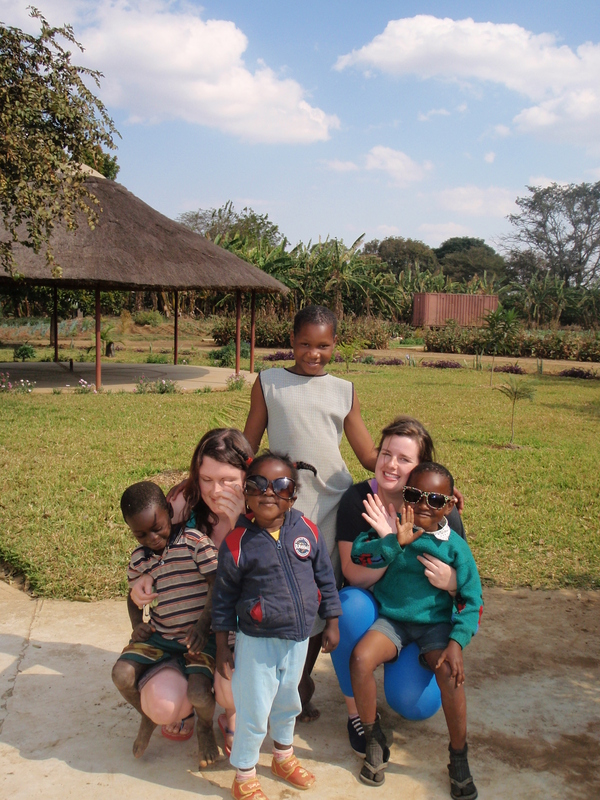 The Zambian people were very friendly and kind. They knew we were volunteers and would often help us find which bus brought us home. On Sundays all the girls would make their way to the local Church. The mass service was so different to anything I had ever seen. It was really a celebration with singing and dancing and of course praying. I think the mass was 2 hours long but not once did I want it to end. I enjoyed every second of it. It was so uplifting and happy. The COH (City of Hope) showed me the even the poorest people still have hope and taught me how lucky I am to have all that I do. Money is important to buy food and shelter but nothing is as important as your family, friends and faith. This trip thought me to love more, be grateful and not to worry about the little thing.